"Stroke is a major cause of serious disability, so finding ways to prevent stroke or reduce the disability caused by stroke are important," said study author Katharina S. Sunnerhagen, MD, Ph.D., of the University of Gothenburg in Sweden. "While exercise benefits health in many ways, our research suggests that even simply getting in a small amount of physical activity each week may have a big impact later by possibly reducing the severity of a stroke." For the study, researchers looked at two Swedish stroke registries and identified 925 people with an average age of 73 who had a stroke. The registries included data on stroke severity based on symptoms such as eye, arm and facial movements, level of consciousness and language skills. 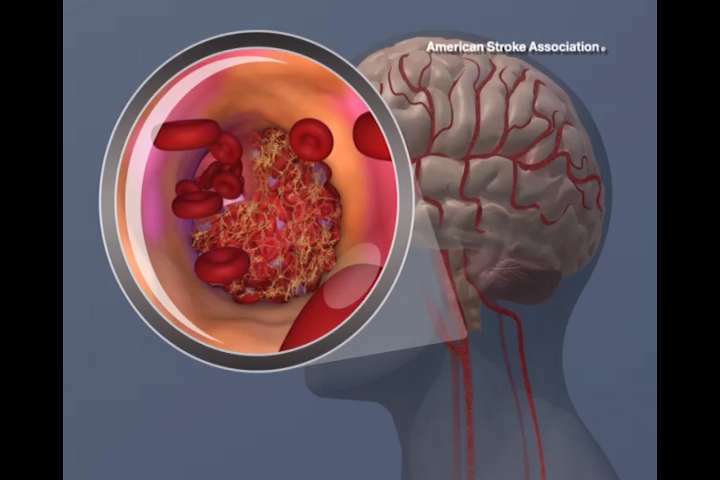 Of study participants, 80 percent had a mild stroke. Light physical activity was defined as walking at least four hours a week. Moderate physical activity was defined as more intense exercise such as swimming, brisk walking, or running two to three hours a week. Of study participants, 52 percent said they were physically inactive before having their stroke. Researchers found that people who engaged in light to moderate physical activity before their stroke were twice as likely to have a mild stroke rather than a moderate or severe stroke when compared to people who were physically inactive. Of 481 people who were physically inactive, 354 had mild stroke, or 73 percent. Of 384 who engaged in light physical activity, 330 had mild stroke, or 85 percent. Of 59 people who engaged in moderate physical activity, 53 had mild stroke, or 89 percent. Researchers found that light and moderate physical activity were equally beneficial. "There is a growing body of evidence that physical activity may have a protective effect on the brain and our research adds to that evidence," said Sunnerhagen. "Further research is needed to better understand just how physical activity influences the severity of a stroke. Finally, physical inactivity should be monitored as a possible risk factor for severe stroke." Sunnerhagen also stated that the study does not prove that physical activity reduces stroke severity; it only shows an association. Do men need to exercise harder than women to prevent stroke?